Carpet repair Birmingham. Carpet Doctor. 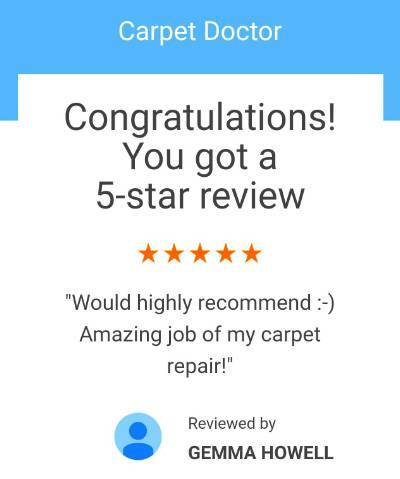 My first carpet repair in Birmingham was way back in 1997, my first experience of providing a professional carpet repair service after a long term apprenticeship as a carpet fitter. It was also my first year self employed trading as a carpet repair man. An English rose of a lady in Ladywood called me to book an appointment to fix an iron burn in the carpet: she had accidently dropped the iron onto a recently installed beige carpet, causing a black burned triangle imprint right in the middle of her lounge. Easy mistake. I had nearly done the same thing myself, getting the tangled cable wrapped around both my legs and the ironing board legs - what a palava ironing is! But this made me aware that by dropping or even gently placing an iron or any other hot object onto a soft carpet, the results would be that it is likely to melt and cause unspeakable damage. The cosmetics world now supply heat mats with their hair dryers and hair tongues but not everybody uses them and accidently burn the carpet. Then its time to either purchase a new carpet or search for a local professional carpet repair service. When I got the call to repair the carpet in Ladywood Birmingham, I used the same traditional materials that I still use today for the perfect carpet repair including: Hessian tape, seaming equipment, sealants to prevent carpet edges from coming apart, a steady hand and, most importantly, a keen eye for detail. Having the correct tools for the trade is of paramount importance for professional carpet repairs, to help with invisible mending, with quite often miraculous results. This method is the only way to repair a fairly large burn in any carpet, by using the same materials that a carpet is traditionally made from to produce a perfect carpet patch repair. There is a certain skill involved when cutting a patch of carpet out of the centre of a customer's beige lounge carpet. An even greater skill is required to seam a piece of carpet perfectly back together. But it can be done professionally and is proven to be cost effective. 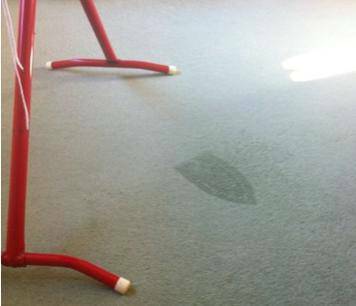 It is not rocket science; why go to the task of replacing a carpet for the sake of a small burn or pet damage when an expert carpet repair service could be the alternative solution? Trading as Carpet Doctor since 1997, I have proudly serviced and provided professional carpet repairs in Birmingham city centre and beyond. Dont replace. Repair. Carpet Doctor has gained over 20 years of knowledge and experience with providing expert carpet repairs in Birmingham. From Great Barr to Earlswood, Harborne to Birmingham airport, Carpet Doctor is on call for a carpet repair Birmingham 6 days a week. Recently appointed for domestic carpet repairs at the Beehive, Masshouse Plaza and commercial carpet repairs for Penta Hotels and offices at the Jewellery Quarter in Birmingham city centre.